Founded in 2017, Illusian is an independent 1 woman + 1 bear publishing company that focuses on exciting books for children full of fun and adventure. 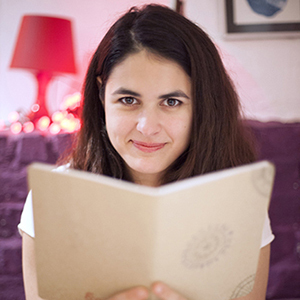 Dilara is a London based writer, illustrator and puppet maker. Animal’s Book of Dance and Gogol the Golden Golem are her first books since her critically acclaimed picture book app Stella and the Space Bears and her dark fables Hot Tin Cat Books. Born in Istanbul/Turkey, Dilara studied music throughout her teenager years. Upon graduation from Istanbul State Conservatory, she moved to the UK to study her childhood passion animation in University College for the Creative Arts. Since then she has had animated shorts screened at multiple festivals and has illustrated books by other authors published in United Kingdom, Turkey, USA, Australia and United Arab Emirates. She has also been designing book covers for Akasa Publications in Turkey for the past decade. In recent years, Dilara has also been involved in puppetry and puppet making. She performed a Theatre-For-One show in Horse and Bamboo Puppetry Festival following a 3 week residency with the theatre. Most recently, she has designed and made the “Porro” puppet for Tricolore Theatre’s upcoming bilingual English/Italian children’s play “A Boy Called Porro” and held a puppet making workshop for children. Dilara is currently working on her next picture book. Poful has been with Dilara as long as they can remember. He has accompanied her when she moved to UK as her bodyguard. 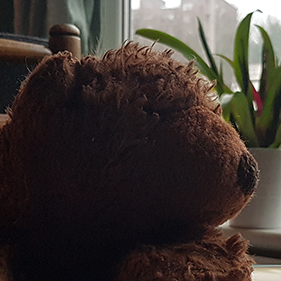 Though his general skill set as a bear is not exactly suitable for a publisher, he has proven to be irreplaceable as a quality control coordinator. Poful is currently working on integrating salmon based meals into our daily work schedule. Together we aspire to create timeless, creative and original books that can be read again and again. We also make sure not to underestimate children and that all of our books are gender-neutral. A fun and creative book. It creates a good past time for parents with the children too.